It all started with a long core… The origins of the Group of Aquatic Macrophyte Ecology (GAME) go back to the year 2000. That year, using a rather artisanal but very effective field coring method, it was possible to sample a 5m-long core of the peaty sediments formed by the Mediterranean seagrass Posidonia oceanica in the north of the Costa Brava, Spain. The ‘Core 2000’ has formed the backbone of GAME by giving birth to two pioneering research lines, which are currently widely recognized and followed worldwide. It revealed two important facts: 1. the sediments underlying the seagrass P. oceanica were highly organic and contained a remarkable stock of organic and inorganic carbon, and 2. the core represented a perfect chrono-sequence spanning over 4000 years of age. These two discoveries turned out to become the scientific foundations for two fertile research lines of the group, both of which are relevant for the global carbon cycle and for the use of marine palaeo-archives for the study of change in the coastal ecosystem over the Holocene Period. The group was created by Dr. Miguel Ángel Mateo, who at that time was a contracted researcher at the Plant Physiology Department of the University of Barcelona. When awarded with the Ramon y Cajal Fellowship in 2004, Dr. Mateo and his team moved to the Centre for Advanced Studies of the Spanish Council for Scientific Research (CEAB-CSIC). Four years later, he was appointed a CSIC tenured researcher and, more recently, Adjunct Professor at the Edith Cowan University of Perth, Australia. Recently, GAME has been gifted with the addition of 2 senior scientists, Prof. Paul Lavery, from the Edith Cowan University (ECU, Perth, Australia and Prof. Antonio Martínez-Cortizas, from the University of Santiago de Compostela (USC, Spain), and with an early career scientist, Dr. Oscar Serrano, a PhD student trained in GAME, now a reputed seagrass scientist finishing a successful 5 years post-doc stay at the Edith Cowan University and the Western Australia University. Paul is a Professor of Marine Ecology in the School of Natural Sciences and Co-Principal of the Centre for Marine Ecosystems Research (ECU). Within 20 year’s experience working in applied marine science, he has worked in the Government sector in Australia and the USA and on some of the major marine restoration projects in Australia and overseas, including the Peel-Harvey Management Programme, the Boston Harbor Cleanup Programme and the Perth Coastal Waters Study. He is currently a member of the working group revising the ANZECC Water Quality Guidelines (biological monitoring). Antonio is Professor of Soil Science at the Faculty of Biology at the USC. He is the coordinator of the research group Earth System Science (ES2). His research is mainly concerned with applications of environmental geochemistry for the characterization of ecosystems’ functioning and tracing past environmental changes, with particular interest on the role of human activities since prehistory. GAME is widely acknowledged as a leading group on the carbon dynamics of seagrass ecosystems and on the estimation of carbon fluxes, a pre-requisite to understanding the role of seagrasses in carbon sequestration. 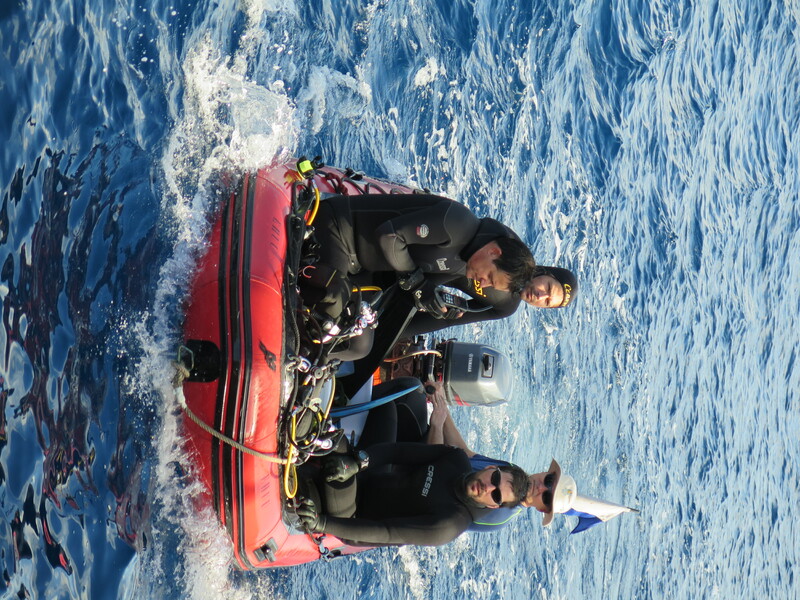 During the last 15 years, in the framework of 15 competitive projects, GAME has been one of the leading groups on seagrass ecology, gaining reputation in the area of carbon biogeochemistry in coastal marine ecosystems, and the leading group in palaeo-ecology utilizing the seagrass sedimentary archive. Apart form other important contributions in the field of seagrass ecology (use of stable isotopes as environmental, trophic, and physiological tracers; population ecology; environmental diagnosis using aquatic macrophytes), the work of GAME has focused on the cycling of carbon and other nutrients in benthic marine and beach ecosystems. The group has applied its knowledge to the development of ecosystem mass balances, the estimation of regional carbon storage (CO2 sequestration and burial) and the palaeoreconstruction of past environmental conditions in Mediterranean climate regions. Recently, through the incorporation of Antonio Martínez-Cortizas, the group has begun to deal with pure biogeochemical, edaphological, and microbiological aspects of great importance to understand the phenomenon of refractory accumulation. An important aspect of GAME is its experience in the coordination of multi-institutional and multi-national research programs, incorporating both ecological and socio-economic studies. The group has coordinated several major national and international studies of the Mediterranean region, including North Africa and Australia. Between the elaboration of this document and 2020, GAME will be working on, at least, 5 active projects, funded by the Spanish National Research Program, the Spanish National Parks Funding Scheme, the EU LIFE program, and the Australian University-Industry Collaboration Funding Scheme. In these projects we are addressing unedited problems of the phenomenon of refractory accumulation from an edaphological perspective, making the first attempts at modelling the carbon accumulation dynamics in seagrass ecosystems, exploring a wide range of new proxies for the palaeoreconstruction of environmental change from local to global scales, and elucidating the source of the dangerous ambient lead concentration in Port Pirie, Australia. 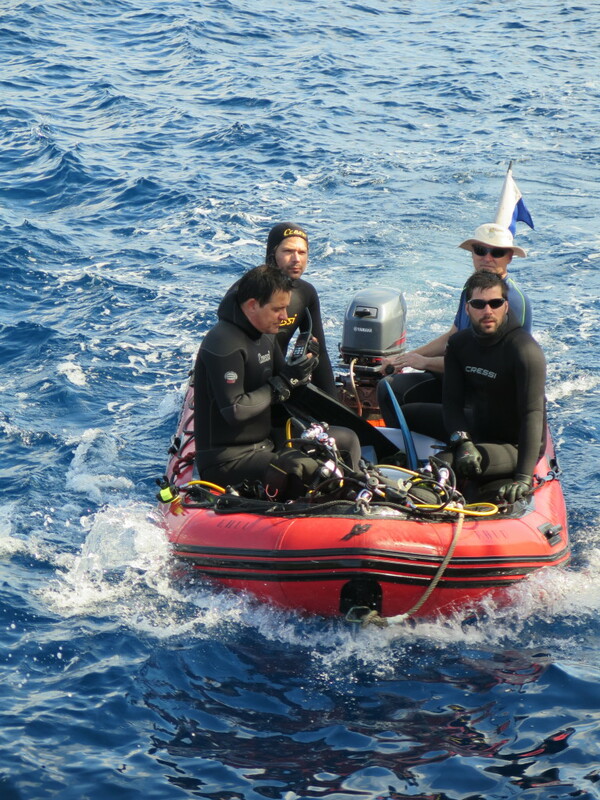 The studies take place mostly in two Mediterranean climate regions with a high presence of seagrass meadows: The Mediterranean Sea, and Western and South Australia. This experience places the group in an excellent position to facilitate the involvement of researchers from different nationalities in National, Regional and International research initiatives. GAME has an extensive peer-reviewed publication record on marine ecology, biogeochemistry and global change. Its publications are highly cited in the literature on marine carbon cycling, and include significant works published in Science, Nature Geoscience, Global Change Biology, Global Biogeochemical Cycles, “Palaeogeography, Palaeoclimatology, and Palaeoecology”, Quaternary Research, PlosOne, and other Q1 journals. 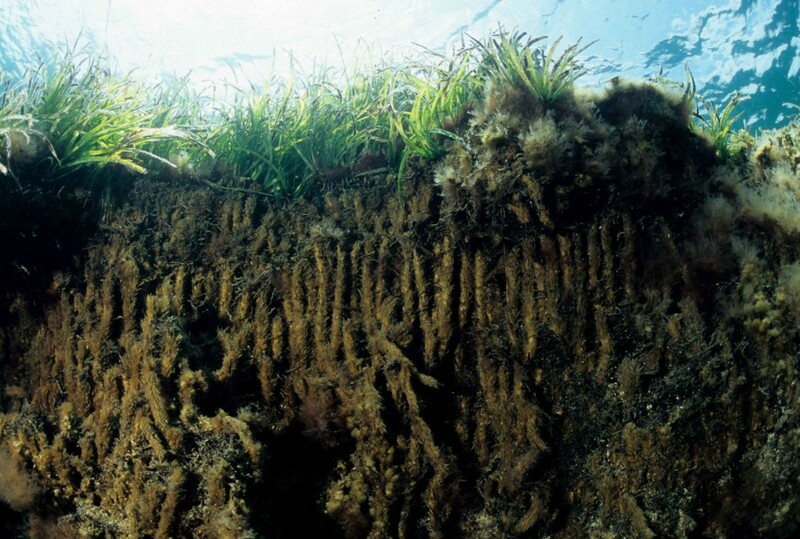 These works include a seminal publication in 1997 setting the foundations of the study of the long-term refractory accumulation of organic carbon in seagrass sediments (download), another one in 2002 introducing these sediments as paleo-archives, one in 2006 reviewing the knowledge on carbon fluxes in seagrass ecosystems (download), two in 2009 (download) and 2010 (download) presenting the first environmental reconstructions using the seagrass paleo-archive, one in 2011 establishing the origins of metal pollution in the Mediterranean (download), a report in 2012 commissioned by the IUCN to review the role of Posidonia oceanica as a carbon sink, a 2012 key publication in Nature Geoscience which synthesized the global stocks of carbon captured in seagrass ecosystems (download), a pioneering paper in 2013 showing the key importance of variability in the phenomenon of refractory accumulation in Australian seagrasses (download), or a synopsis of the effects of climate change on Mediterranean seagrasses appeared in 2014. 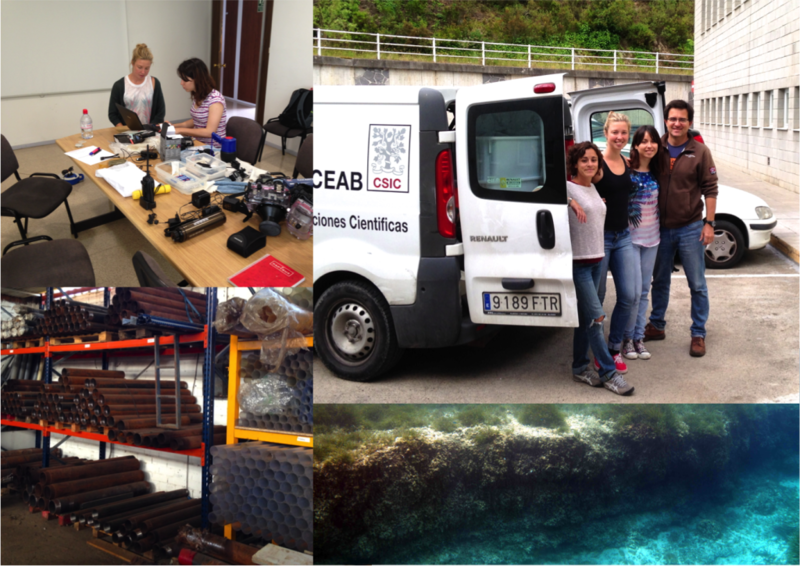 Currently, GAME is coordinating the development of a Mediterranean-region research initiative (EU LIFE program) on the storage of carbon in seagrass ecosystems and its incorporation into carbon trading schemes. In 2014, the publications of all research members of GAME add up more than 500 with almost 10 000 citations, and a global h index of 52. GAME has no geographical barriers when it comes to collaborations and enjoys reuniting and participating in multinational and multidisciplinary consortia. The people that have contributed to GAME have been, beyond any doubt, the most important capital of the group. GAME has hosted Secondary and High school students, Degree and Master students, PhD and Post-doc fellows, contracted technicians and researchers, and adjunct doctors. The countries of origin of the people collaborating or having collaborated with GAME amount 20 and include Australia, Brazil, Canada, Denmark, Egypt, England, France, Germany, Greece, Italy, Kenya, Malta, Mexico, Morocco, Portugal, Spain, Sweden, The Netherlands, Tunisia, and the USA. The senior members of GAME have supervised 20 PhD Thesis, 56 Master Thesis, 18 Honours, and large number of practicums and trainings of students from many different backgrounds and educational levels. Added to the novelty of the research lines of the group and its interdisciplinary character, GAME reunites the conditions to offer an excellent framework for young researchers to develop a successful career while establishing international and interdisciplinary networks. In addition to peer-reviewed scientific articles and participation in international and multidisciplinary research programs, GAME is also very active in the dissemination of its activity in national and international conferences (around 200 oral presentations), as well as in the media, including printed press, radio, and television (around 100 participations). Furthermore, GAME organizes outreach activities regularly to raise the awareness of the general public on the need to preserve our ecosystems (courses, talks, seminars, and round tables). Finally, through the participation of Miguel in the Board of Directors (link) and in the Publications and Awards Committee of the Association for the Sciences of Limnology and Oceanography (ASLO), GAME contributes to fostering the aquatic sciences worldwide. The Group of Aquatic Macrophyte Ecology aims at generating new knowledge and awareness rising of the key role played by the coastal vegetated environments (saltmarshes, mangroves, and submerged macrophyte forests) and their vulnerability to both local and global human-derived perturbations. To properly accomplish that mission, we believe in the need of letting science happen at a natural pace, being curiosity and passion the main drivers and avoiding opportunistic performance-driven science. Nature is complex; complexity needs time to be digested. Scientists need time to think. At the same time, scientists are human beings, with the same aim as any other human being: enjoying life. “Research has to be a game, because only playing are we happy” (Ramon Margalef 1984). Science is our GAME.